BeerTrucker: Show us your kegs! 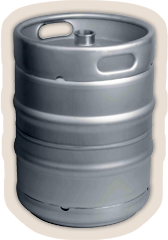 Seen any good kegs lately? Send them to us and we'll post them on the BeerTrucker blog. I actually found one with my name on it!